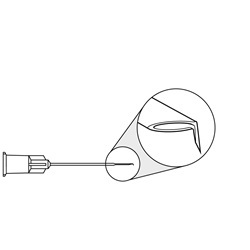 Disposable Glaser Vitreoretinal Micropick cannulas are available in either 20 gauge or 23 gauge with straight tapered shafts. 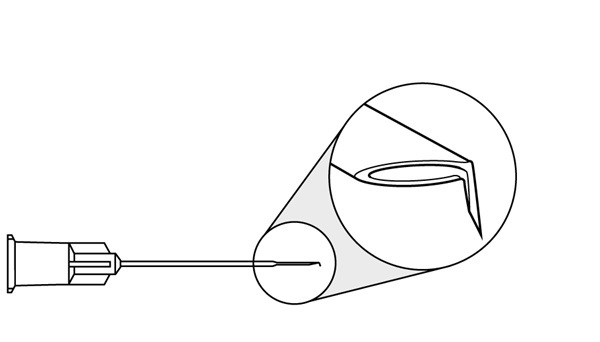 Sharp tips measure 0.5mm in width and are angled 50 degrees toward the bevel. Overall length: 25mm. Sold 10 per box. 20 gauge, tapered to 25 gauge x 3/16" distal end. 23 gauge, tapered to 27 gauge x 3/16" distal end.